Mom, the Intern: 30 reasons. 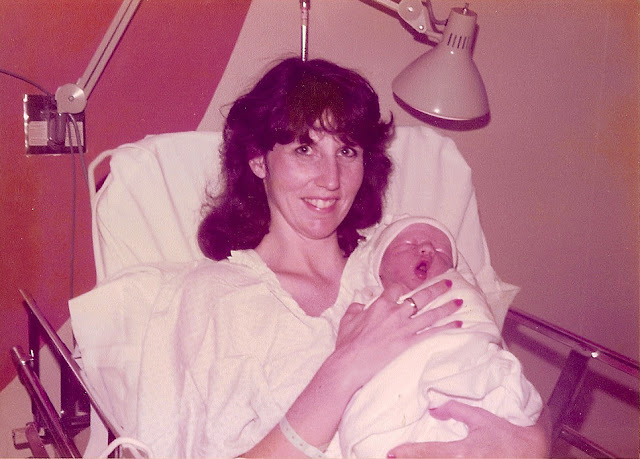 Thirty years ago today, Dill was born to a single mother who was unexpectedly and tragically widowed for not quite two months. From her journals, I've understood he came as a bright light during a very dark time in the life of his mother and siblings. He continues today to shine as an example of kindness, humility, perseverance and optimism, illuminating the life of every person he meets. So today, I present to him (and anyone else who's reading) a measly 30 reasons why I love Dill. 1. He loves the Lord. 2. He loves me, despite my flaws. 3. He loves our children. 4. He is constantly lending a helping hand at home -- bathing and putting the kids to bed each night, doing the dishes after dinner, taking out the trash, etc. 5. He is sympathetic to my struggles. 7. He never gives up. 8. He goes the extra mile in all he does. 9. He values family togetherness and fun. 11. He lets me hog the blankets and never complains -- just quietly gets his own blanket if he's cold. 12. He makes surprise breakfasts on a regular basis. 13. Speaking of which, he makes the best pancakes on the planet. 14. He loves to try new things. 15. He tells me I'm beautiful every day, usually multiple times a day. 16. I feel like I can always be myself around him. 17. He is humble and doesn't like to brag about his accomplishments. 18. He is an excellent provider. 19. He put his career on hold for two years so I could graduate from college. 20. He plays with the kids whenever he can. 21. He never yells or even raises his voice. 22. He supports me and the kids in all our endeavors. 23. He sings the hymns in church, even though singing is not his forte (pun intended). 24. He loves to read. 25. He engages in stimulating conversations about religion and politics. 26. He kisses me on the cheek every morning before leaving to work, even though I am dead asleep. 27. He takes care of the kids so I can sleep in on the weekends. 28. He is innovative and smart. 29. He makes the BEST crème brûlée. 30. He never judges people and always assumes the best of others. Happy 30th birthday to the best man, husband and father EVER! I love you!!! Happy birthday to Dill! I'm glad you two found each other, perfect match. Didn't know his father passed away before he could meet him. Very sad! He looks like his mom! That's a compliment for sure! Happy birthday dill! Love this ... and his middle name!